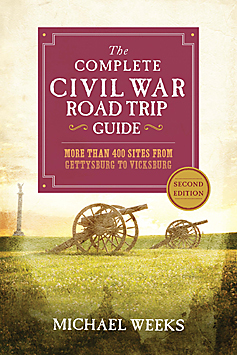 With ten multi-day itineraries, The Complete Civil War Road Trip Guide is the first guide to highlight every major campaign of the Civil War. Author Michael Weeks documents over 600 sites, helping travelers better understand this period of American history, and the landmarks that remain. As Weeks plots these itineraries, he offers historical details on the ideological battle between North and South, on the slaves and abolitionists who were willing to die for freedom, and the prominent men and women on both sides who brought the nation to war. The venues featured range from the great battlefields of Gettysburg and Manassas to relatively unknown sites in places such as Vermont, Idaho, New Mexico, and California. Including complete directions to the sites and lodging suggestions, these tours enable readers to personally tailor trips to every major Civil War historic site and beyond. Weeks highlights key figures and events in each theater of the war, covering everything from the Missouri Compromise to manumission, from Fort Sumter to Appomattox, providing context for the battle sites, museums, and countless other attractions covered in this book. With this guide in hand, readers will experience the sites where Frederick Douglass worked tirelessly to achieve equality for African Americans, where Clara Barton used her Civil War experiences to establish the American Red Cross, and where Robert E. Lee spent his childhood. Booksellers, please contact your W.W. Norton Sales Representative, or call 1-800-233-4830 to order. All other retailers, please contact our special sales representative at 1-866-383-7094 to order. For more information on this and other Countryman Press titles please visit www.countrymanpress.com. Although the Civil War was fought across America, the most captivating events for Civil War buffs seem to be those that occurred in the relatively small region surrounding the two wartime capitals, Washington, D.C. and Richmond, Virginia. 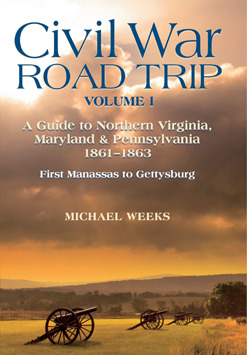 In Civil War Road Trip: A Guide to Northern Virginia, Maryland, and Pennsylvania, author Michael Weeks takes you on complete tours of every major military campaign in the region during the first two years of the war, from First Manassas in 1861 to Gettysburg in 1863. Weeks has visited every site included here, learning their vibrant stories and driving thousands of miles to bring readers the most accurate information. 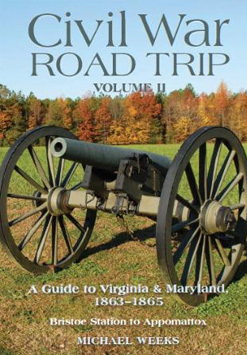 Detailed directions and maps for your own road trip, along with a blow-by-blow history of each campaign, will guide you to and through some of the war’s most critical battlegrounds, including Fredericksburg, Antietam, and the Shenandoah Valley. Travel tips, historic lodging places, and further sources of information are also included. Fully up to date and thoroughly researched, this guidebook is indispensable for travelers interested in America’s history. In this second volume of Michael Weeks’ thoroughly researched guide to the battlefields of the Civil War, you will find complete tours of every major military campaign in the Eastern Theater from 1863 to 1865, from the battles immediately following the great clash at Gettysburg to the siege of Petersburg and the Appomattox campaign. Directions and maps, along with a detailed history of each campaign, will guide you to and through some of the war’s most critical battlegrounds, including The Wilderness, Spotsylvania, Cold Harbor, The Crater, and the Shenandoah Valley. A section devoted to commands and commanders, along with an explanation of military structure, orders of battle, and the various military units, help you keep track of the course of events and the key players. Travel tips and further sources of information are also included to help your explorations run smoothly.